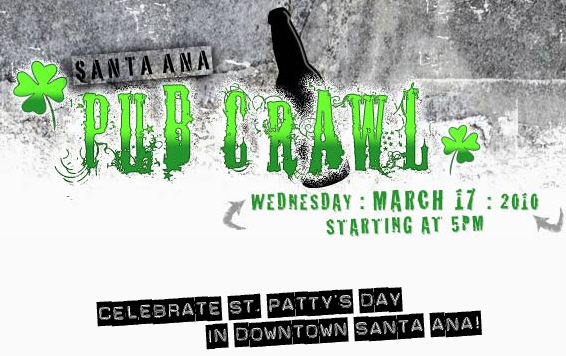 New Santa Ana | Celebrate St. Patrick’s Day in Santa Ana! $3 Stella, $3 Monster Bombs, $2 Draft Green Beer and we’ll be featuring “Irish Shot Specials” all night long! Buy a pitcher of beer and get 50% off Nachos, Quesadillas and our special appetizer for the night, “Irish Nachos”. Don’t forget to pick up some delicious shamrock cookies! 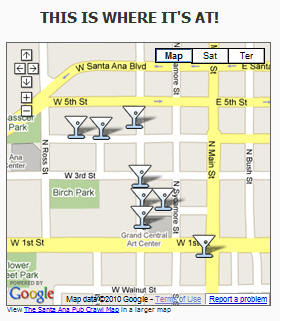 Planning on drinking heavily? Can’t hold your liquor? Avoid a DUI and add these numbers to your phonebook. And don’t forget to Remember the San Patricios!